Publishing your book by yourself might be quite the task if you are still new in this field. Translating your book into another language can be even more tiring and difficult. Authors who translate their books to other languages will go through various struggles, but the good news is that these challenges are all possible to overcome. In fact, having your book translated doesn’t have to be as difficult or as expensive as you might imagine. 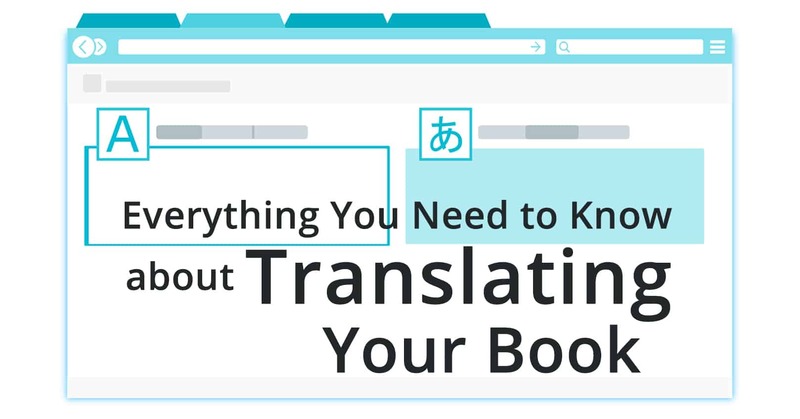 Here are some of the most important things you need to know to get started translating your book. One of the things you should always have in the back of your mind is that while you might do everything right in regards to writing and translating, it might not be a success in the market you are targeting. This can happen for a number of reasons, but for the most part, this kind of failure is avoidable. The US and English-speaking market is the largest one around the world, and most of the time, the books that are translated into English from a foreign language have a better chance of making it to the top of the English lists than English books translated into other languages do. Before you take the plunge into translating your book from English to another language, you need to take some time to figure out which markets will be worth your money and effort. One good way to do this is to do pretty much the same amount of research on your target market as you did before writing the original copy of the book. This essentially means that you will have to research your competitors, what your niche is in need of, and who are you trying to reach out to, etc. These might seem like simple questions, but they are the simplest and easiest way to start understanding the needs of your target market and can help you make a significant difference in how well your book will do in the new market you are trying to reach with the translation. If you find that your book won’t do well in a certain market, don’t waste time and money translating it into that language. The quality of your translation needs to be the best possible, or you won’t make sales. When it comes down to this, you will have two options in regards to who you will work with. You will most likely have to either pick between a freelance translator or a professional translation service. Of course, translating a book is no small task. Depending on your niche, the vocabulary and terminology you have used, as well as the length of the book, the translation can require many hours to be completed correctly. The person who does this job should be someone who has experience in the field and who also specializes in the type of translation you are looking for. For example, if you have written a book that contains a lot of medical terminology, you should definitely work with a professional medical translator who will be able to easily and accurately translate every piece of information. On top of that, you should make sure you work with someone who is a native speaker of the language you are trying to translate your book into. Both freelancers and professional translating companies will be able to provide you with someone who is native in the language and who will be able to help you achieve a great quality translation that will make perfect sense to your target market. 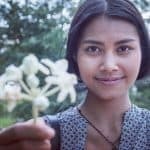 A native translator is the only person who will be able to accurately translate native words and phrases which would otherwise not make a lot of sense. Certain phrases simply can not be translated literally to another language and still make sense, so you will need to work with someone who can localize those phrases, rewriting them to make them sound more familiar and understandable to the native audience. Either a professional translator or company will be able to provide you with great quality services for a reasonable price. A good place to look for such services is on platforms like Upwork and Freelancer, as well as online professional translation services like TheWordPoint. Read the listings carefully and check reviews to see if the described services are of the quality you are looking for. Last but not least, it is important to keep in mind that even if you have a complete translation in your hands, you should always make sure to run a final check and proofread the content, because no one person can make a perfect translation. Once again, you can choose either a freelancer or a professional translation service to help you achieve this task easily. Getting the translation proofread will make sure that your book is free of grammatical and spelling errors and that it is easily understood by any native speaker who tries to read it. The more effort you put into making sure that your book is well-translated and free of mistakes, the better chance for it to become a bestseller in the new market. Most authors consider translating their book a task that will take a while to accomplish, even if their book has been published in its original form for a while. While it is true that finding the right professionals to work with and actually pick the right language to translate in isn’t the easiest task in the world, it is definitely not an impossible one. As long as you do enough research and make sure that everyone you work with is professional and experienced, you can be sure that the translation you will get in return will be of great quality. Don’t let the amount of work scare you away from trying this next step in your career. Just make sure you’re following all the steps that will give you a successfully translated copy of your book. Have you tried translating your book? We'd love to hear any tips or questions in the comments below! Reuse notice: Non-commercial users, feel free to print out "Everything You Need to Know about Translating Your Book" for personal use or give to friends, share online, or make a meme of, as long as you attribute and link back to us. Commercial users, you may share a link to this post or quote a short excerpt from it with attribution and a link to this site, but you may not use this post in its entirety. Thank you for caring about copyright. Erica Sunarjo graduated from South Texas College majoring in Marketing and Creative Writing. She used her knowledge to make a difference in the realm of business copywriting and invested heavily in traveling and language learning. At present, Erica is fluent in French and Spanish, studying Chinese and working her way to being a multilingual copywriter. She keeps track of the latest trends in IT and technologies, blogs about efficient strategies in education and business coaching, and holds educational webinars. Thanks for the info. I am really interested!